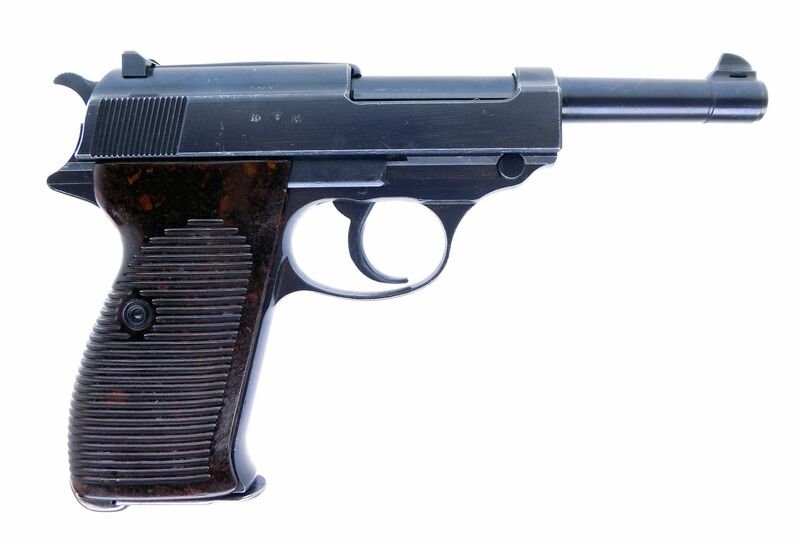 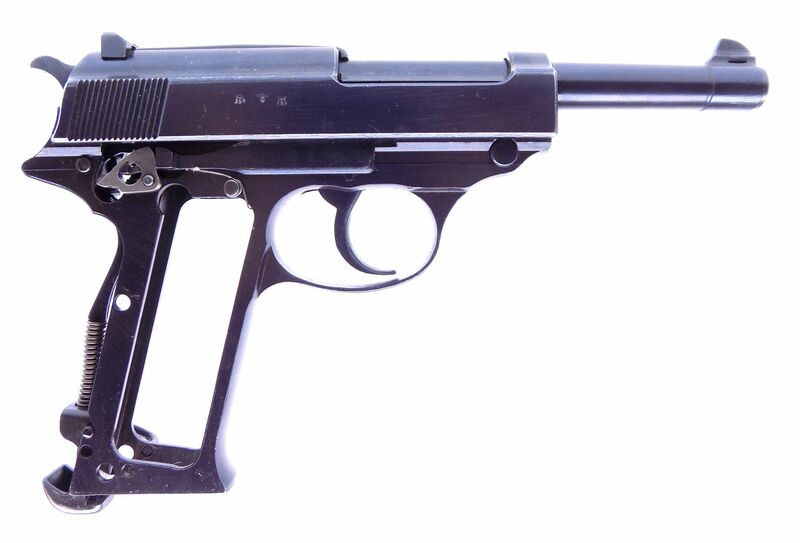 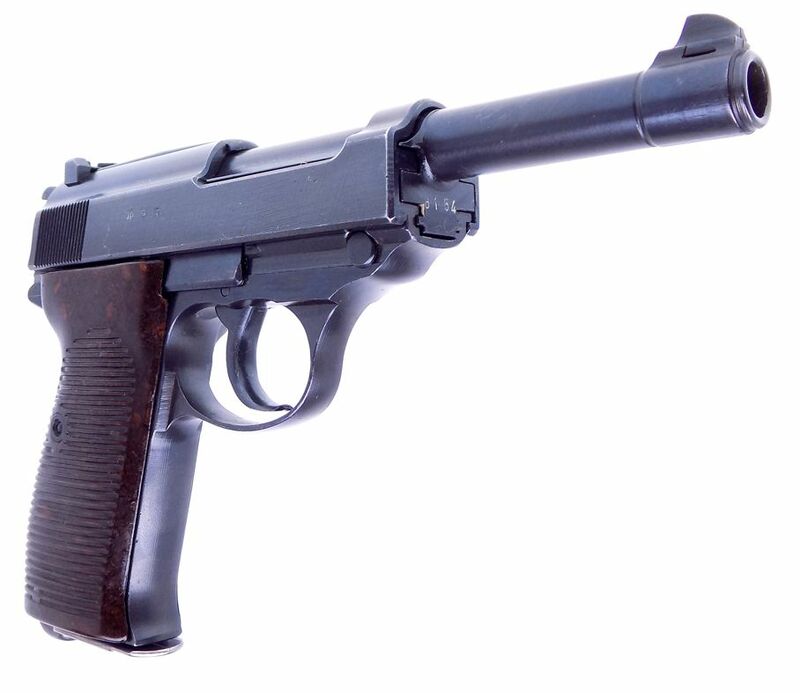 This auction is for a "Gorgeous" Late War manufactured Walther ac45 P38 9mm pistol. 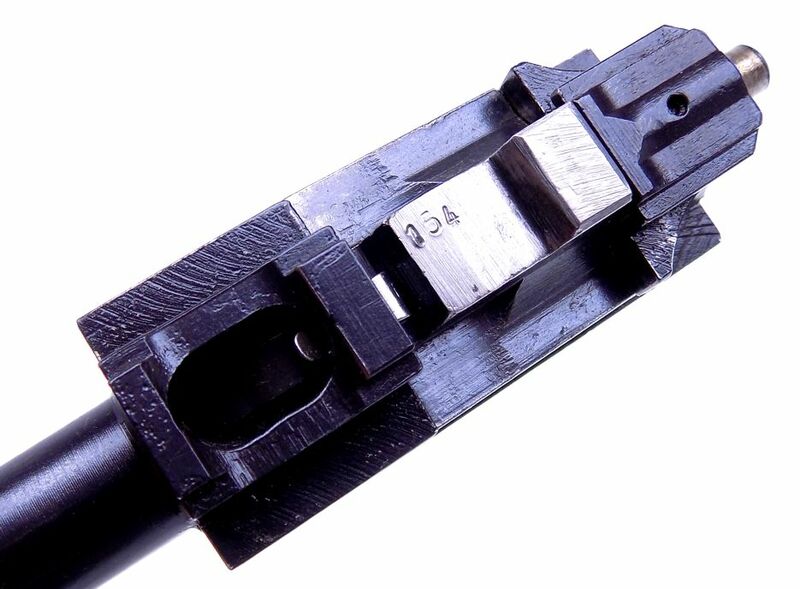 The ac 45 wears the serial number of 8154 which is marked on the barrel, frame and slide. 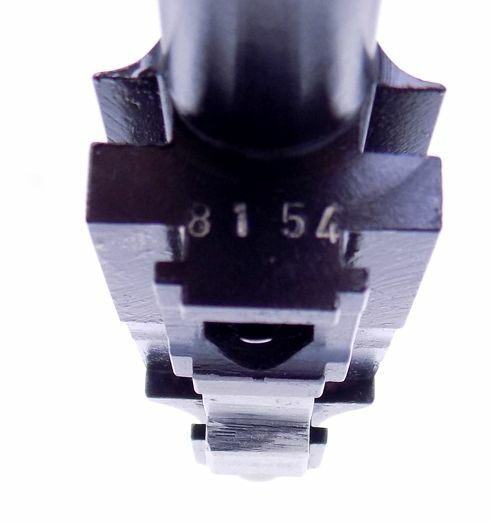 The breech block is numbered to the gun but has the E/88 code. 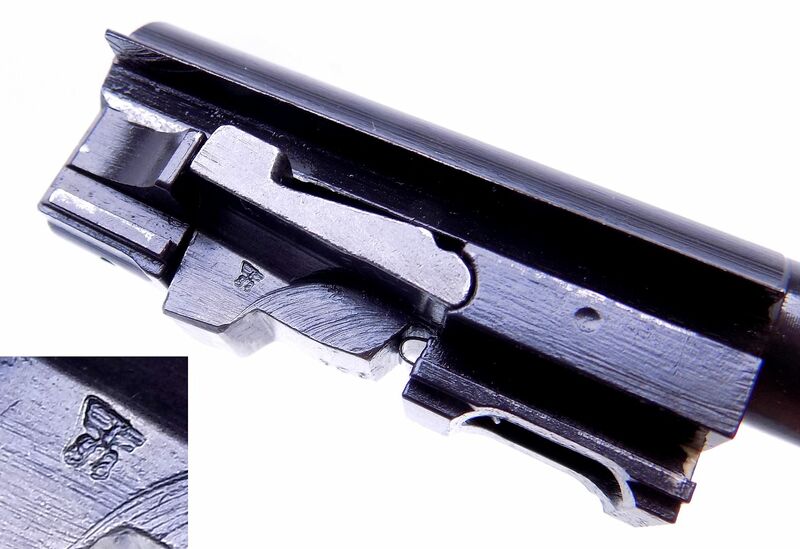 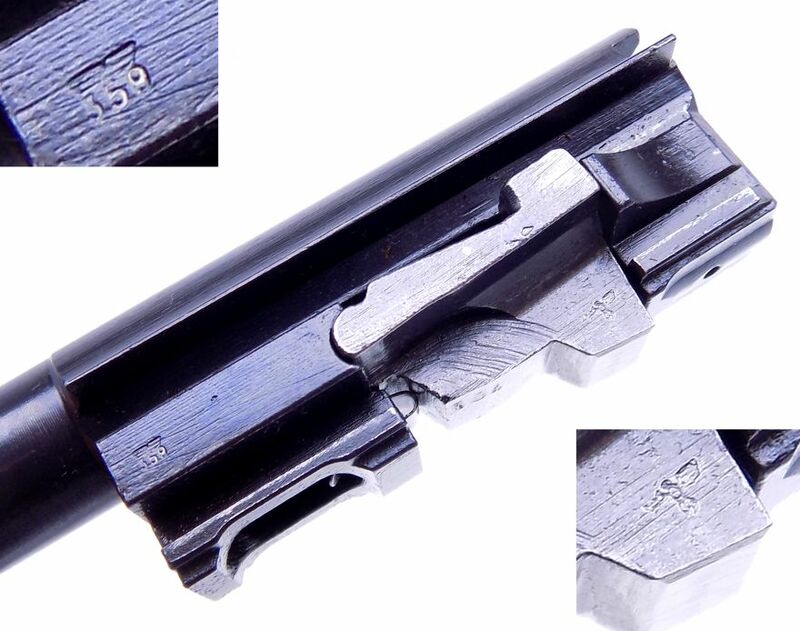 The rest of the pistol parts have the Walther acceptance code E/359 as shown. 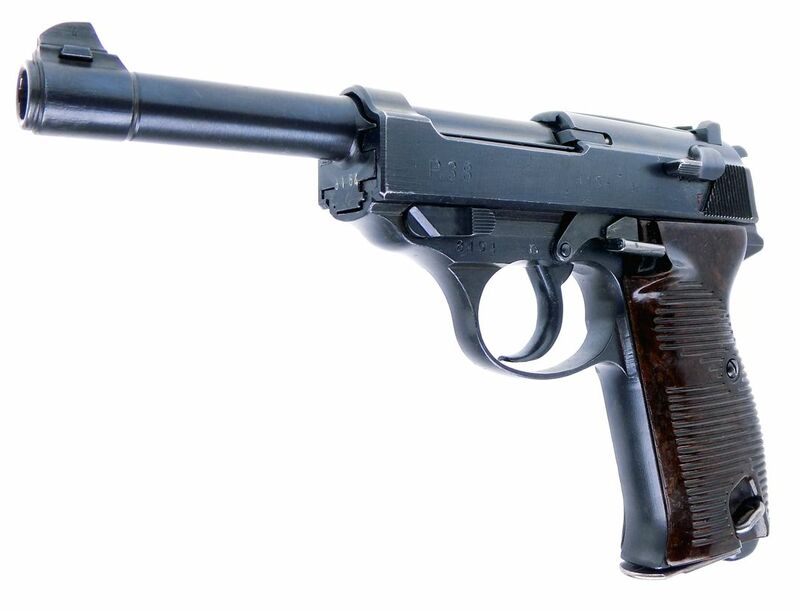 The bore on the pistol is excellent with no issues. 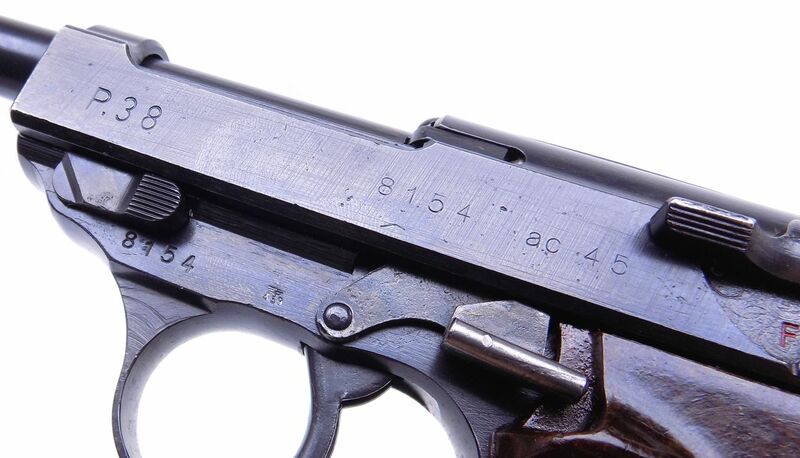 For a late war manufactured gun the bluing is very nicely done and in excellent condition as you can see. 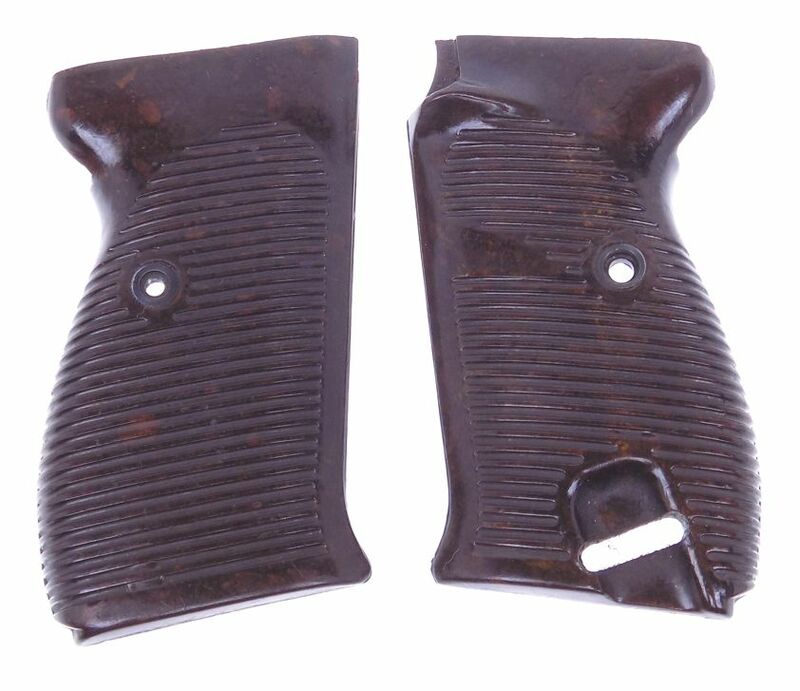 The grips are in excellent condition as shown with no chips or cracks. 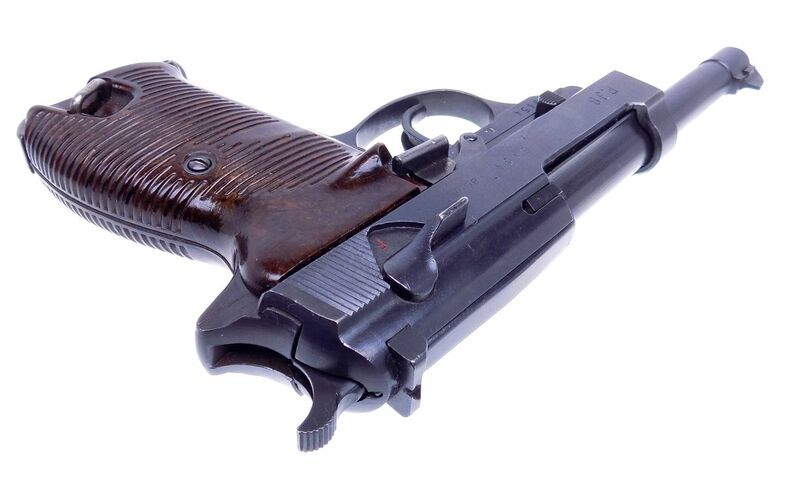 The gun is very clean inside and out as shown. 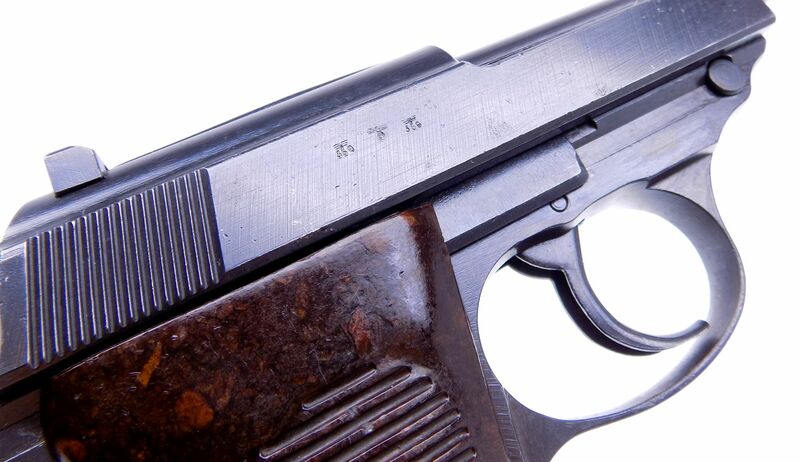 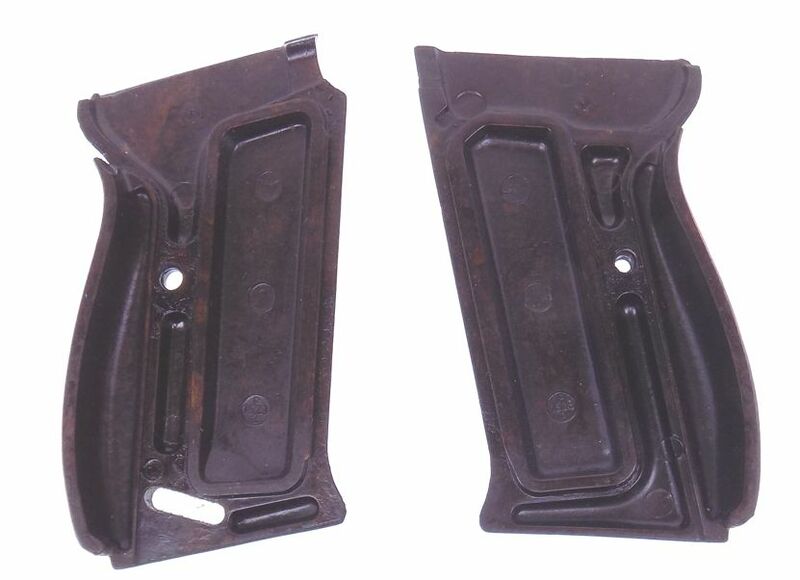 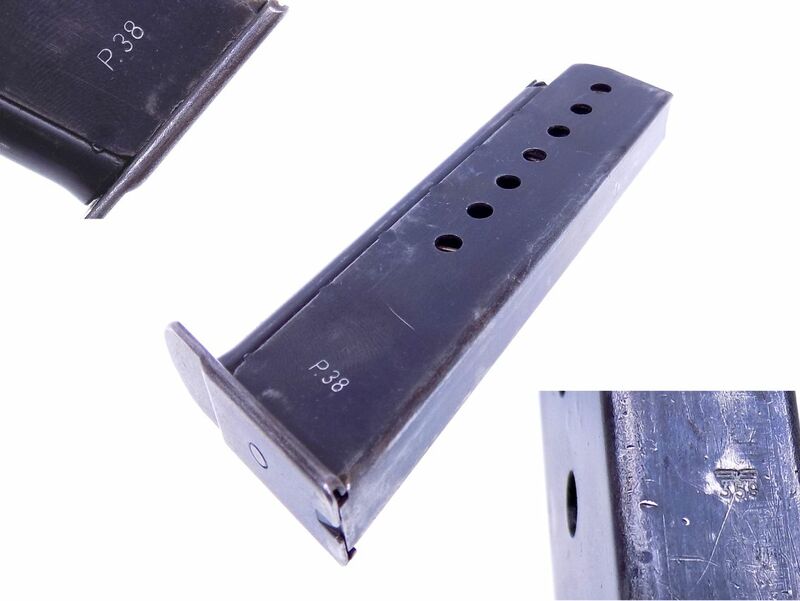 The magazine has a P.38 and E/359 marking as shown. 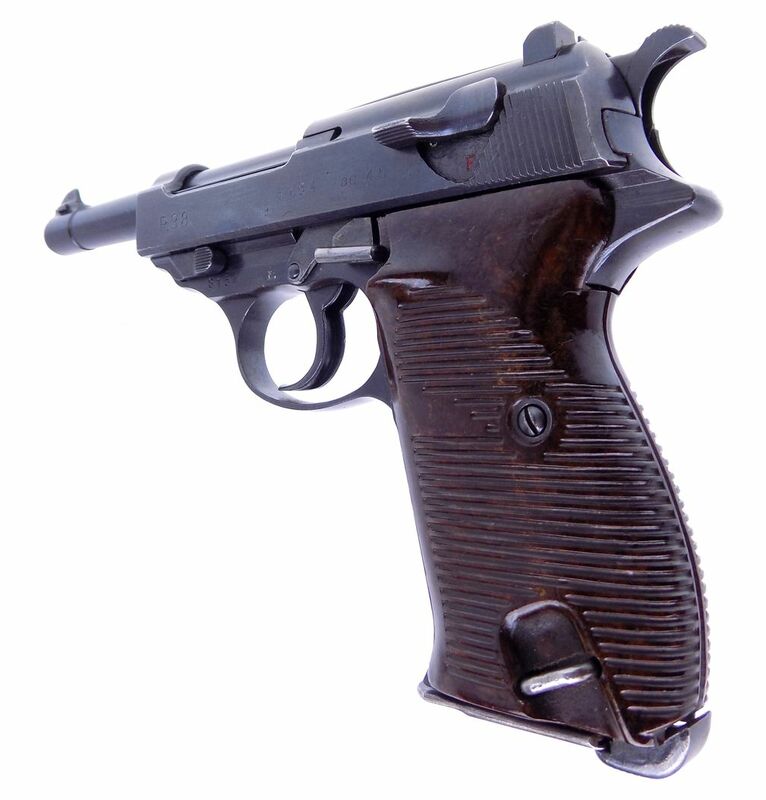 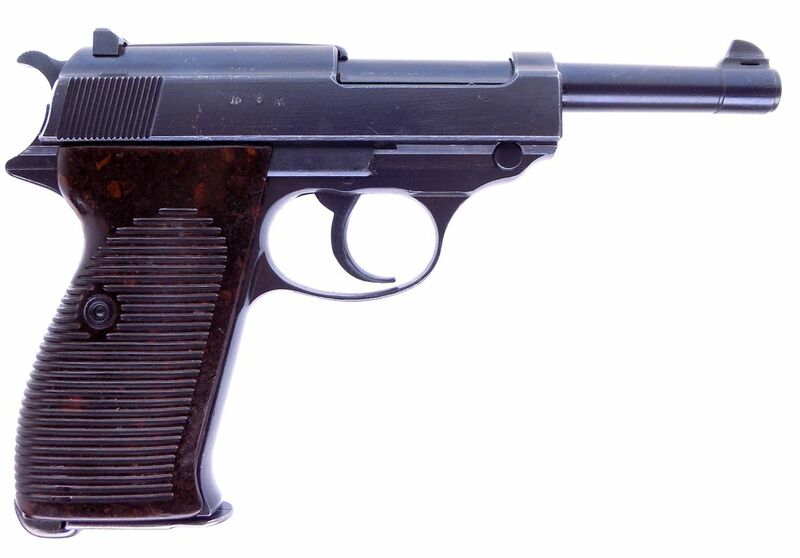 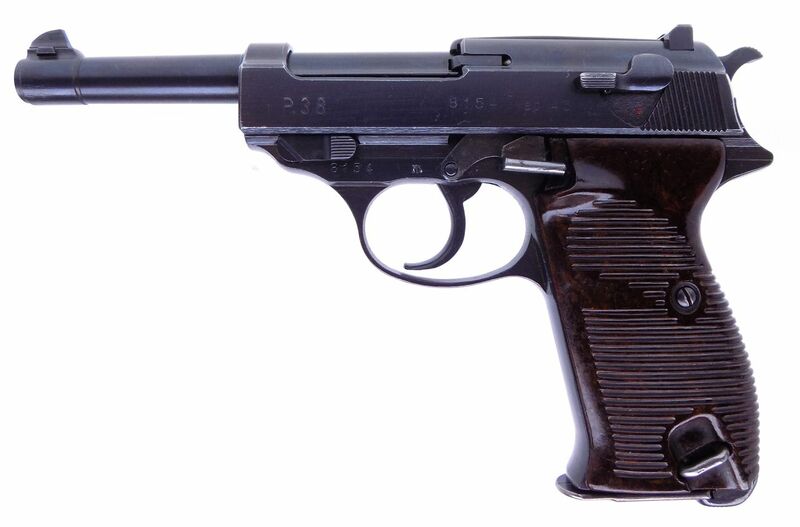 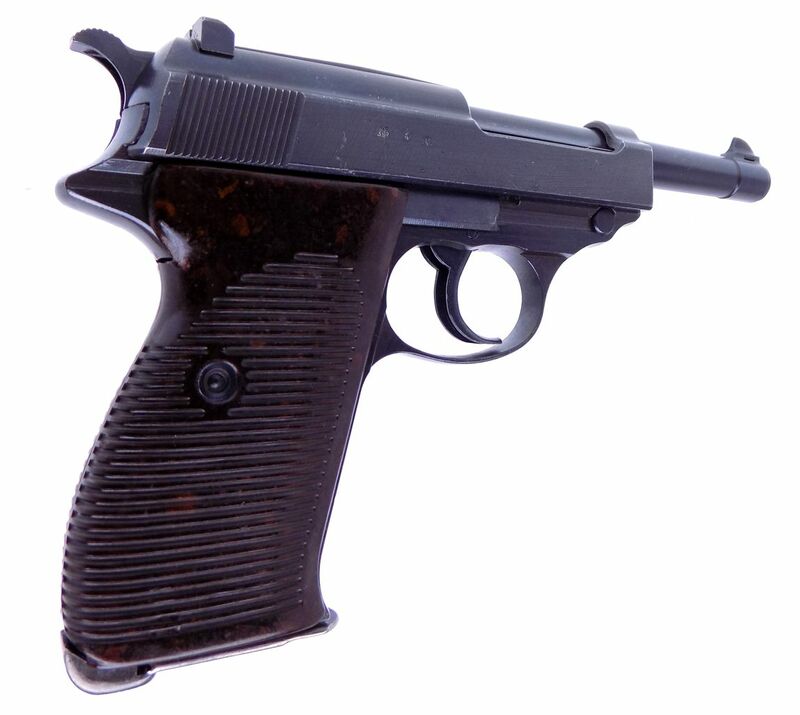 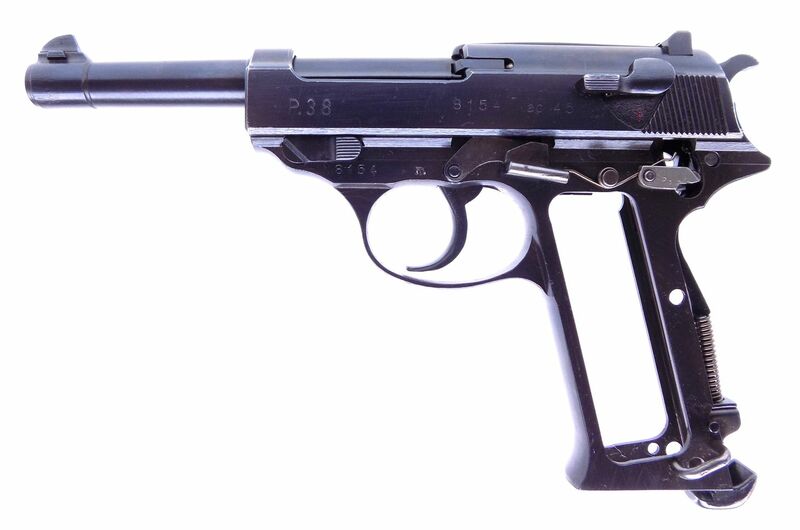 Overall this is an excellent condition late war manufacture Walther P38.